How Work History Affects Social Security Disability Claims | Johnson & Gilbert, P. A. How does my work history affect my Social Security disability insurance? The Social Security program pays disability as a form of insurance: you pay into it with each paycheck, and you can make a claim if you paid into the fund for a long enough period of time. To determine whether you qualify for the disability benefits program, the Social Security Administration (SSA) considers your physical condition, your work history, and your date last insured (DLI). The easiest way to think of a DLI is the last day you're eligible for disability benefits. Like any other form of insurance, your coverage has an expiration date. Technical eligibility. To technically qualify for the disability program, you must have worked the past five out of 10 years and worked 20 of the last 40 quarters in jobs that paid Social Security taxes. Both of these measurements can affect your DLI. Medical eligibility. Not only do you need to have an approved disability to medically qualify for Social Security disability, but you must also be able to prove that you became disabled prior to your DLI. Likelihood of approval. 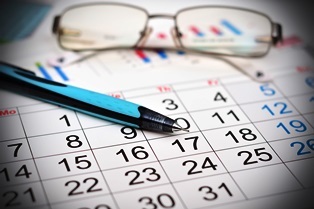 If your disability occurs before this date, you'll likely be eligible for benefits. If the date expired, the SSA will probably deny the application unless you're able to show why you didn't complete an application sooner. In many cases, claimants need the help of an attorney to make a case to SSA after their DLI has expired. The amount of your disability payments varies widely, so it pays to consult an attorney who might maximize your compensation. Our attorneys can explain your options in your free consultation, and we don't collect any legal fees unless we win your case. Simply fill out the quick contact form on this page today to schedule a consultation with our Social Security attorneys at no cost to you. Why Was I Denied Florida Social Security Disability Benefits?